A 30-year-old man has been arrested by police investigating the murder of a nurse in a hospital car park. 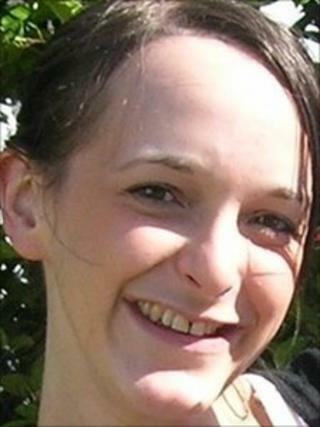 Jane Clough was stabbed as she walked to her car at the Blackpool Victoria Hospital shortly before 2030 BST on Sunday. Detectives believe the 26-year-old may have known her attacker. Detectives detained a man, who is understood to be a paramedic, in Barrowford, Nelson, Lancashire, at about 0730 BST. The man, who is from Preston, is being questioned by detectives. Ms Clough, who was from Barrowford, is understood to have just finished her shift at the hospital and was walking to her vehicle when she was attacked. She was taken to the hospital's A&E unit but colleagues were unable to save her and she died a short time later. Hospital porter Vaughan Cochrane, 54, who lives opposite the hospital, said Ms Clough had worked in the department where she died. "From what I can gather she had just finished her shift and then something tragic happened," he said. "I've spoken to a few people at the hospital about it but no-one knows the full details yet. "Me and my wife were on our way back from a meal when we got a phone call to say there was lots of police activity outside our house. "When we got home there were police cars everywhere and a helicopter overhead." Detectives from Lancashire Police are appealing for witnesses to the attack and forensic teams are continuing to examine the car park, which has been cordoned off. Det Ch Insp Neil Esseen, who is leading the investigation, said: "This is a tragic incident and our thoughts are with Jane Clough's family who are being supported by specially trained officers. "There is a dedicated team of detectives working on this case and we are following up a number of lines of inquiry. "However, I would like to appeal to anybody who has information they think may help with this investigation to contact police." Ms Clough had worked as a nurse at the hospital's A&E department for four years and was described by colleagues as "very caring, compassionate and highly competent". "We are all shocked and devastated by the news of the tragic death of A&E nurse Jane Clough," said Marie Thompson, the trust's director of nursing. "We would like to offer our sincerest condolences to Jane's family, friends and work colleagues at this difficult time. "Staff from across the trust are extremely distressed and shocked by what has happened and we are currently offering them support and counselling." Blackpool Victoria is one of the biggest hospitals in the north-west of England and is run by the Blackpool, Fylde and Wyre Hospitals NHS Foundation Trust. It has 767 beds and employs more than 3,000 staff who treat almost 300,000 people a year.